Having a home alarm system installed can be expensive but not having one could cost you a lot more. Burglaries are on the rise so it has never been more important to have an alarm system in the household. Protecting your property should be your top priority not just for your family but also for the valuable belongings that are in the house. Many people ignore, overlook, and under estimate the need of taking appropriate home security measures. Burglary or theft can lead to devastating consequences both financially and emotionally. The most effective and the best way to protect your home is by having a full home alarm security system installed. Read on to learn why it is important to have a home alarm system. One of the main benefits of having an alarm system is to protect valuable belongings in the home. An alarm system in the household will scare off burglars and it will also send notification to your local authorities if someone did try to break in to your property. Home insurance is necessary if you own your own home. The cost of homeowner's insurance can vary in price depending on your coverage, location, type of home, payment options, as well as other factors. By Having a home alarm system installed in your property, many insurance companies will offer you a discount on your home insurance policy. Homeowners can receive a 10-20% discount on their insurance cover just by having an alarm system installed. A security alarm system will deter thieves away from the house if they think there is security present at the property. It will also help the area you live in be a safer place. Home security and surveillance alarm systems provide homeowners with the ability to monitor their home remotely for 24 hours even if you are not in the house. It really depends on your security alarm provider, the whole house can be monitored via the cameras in the home as well as door locks, lights, control your thermostat, and the rest of the devices in the home. With certain alarm systems, if your carbon monoxide or smoke alarms go off when you are away from home, you can opt to receive notifications. The authorities can be instantly notified, this also depends on your security provider. Heat detectors can also be added to your security system. These detectors can determine if a fire is present in the building. One of the greatest benefits of having an alarm fitted is that you gain a sense of peace of mind and security that your family and home are secured and protected at all time whether you are at home or not. You can relax in your house or if you are away, you will know your property is fully safe guarded against fire, vandalism, and theft. If you are away, your security alarm system will notify you and the authorities that there is an issue at your home, if someone did try to break in or had broken into your property. When you are seeking other forms of home security there are many other options in addition to monitoring and the basics. These other options include carbon monoxide alarms, glass break sensors, panic buttons, motion activated lights, and much more. The motion activated lights will light up all the shadowed parts of your house. 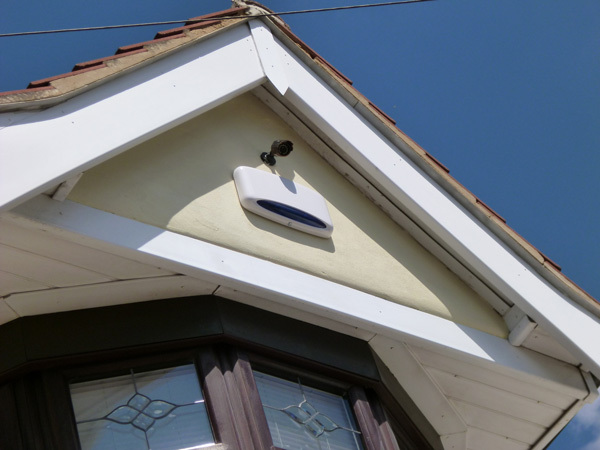 Outdoor and indoor CCTV cameras should be installed with night vision and an excellent hard drive to record a high-quality HD video. Defend your property against all thieves by recording their every move on your security cameras. Availing of a 24 hour CCTV monitoring service is the most secure option. Having a guard dog is an effective way of immediately deterring a thief from entering your home. Dogs will bark if they hear or see a potential threat on your premises. You could also purchase a beware of dog sign as a secondary measure. They are a clear indicator that a guard dog is protecting the premises. Also, learn about the importance of having a car alarm!